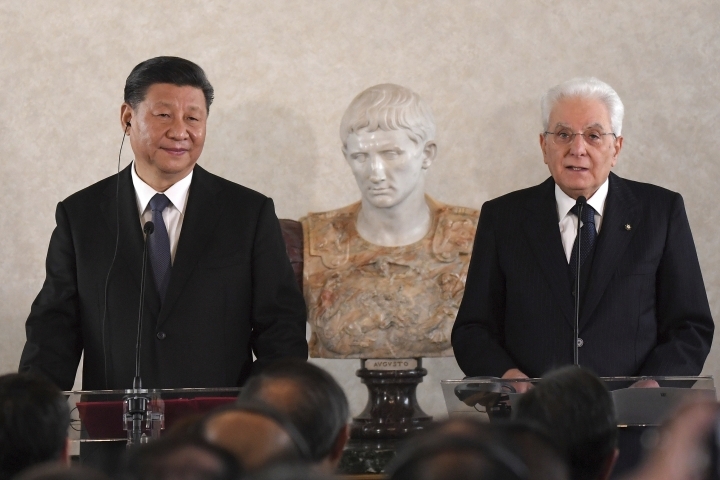 ROME — Playing the Italian Super Cup or Italian Cup final in China will be among the proposals discussed when a delegation linked to the visit of President Xi Jinping meets with the Italian soccer federation on Sunday. The meeting with China Media Group head Shen Haixiong will also focus on TV content, collaboration over developing young Chinese players in Italy and instruction for using the video assistant referee. The Italian federation hopes to play games in China within the next three years, according to a meeting agenda seen by The Associated Press on Friday, although the federation said moving Serie A games to China is not up for consideration. There could also be friendly matches between national teams and courses for Chinese coaches. There are already strong soccer ties between the countries, with former Italy captain Fabio Cannavaro recently succeeding former Italy coach Marcello Lippi as coach of China. Cannavaro's first game was a 1-0 loss to Thailand in the opening match of the four-nation China Cup on Thursday. The Italian Super Cup — which pits the Serie A champion against the Italian Cup champion — has already been played in China four times over the last 10 years. This year's Italian Super Cup was played in Saudi Arabia as part of a deal with Saudi Arabia's General Sports Authority that calls for two more of the matches over the next four years to be played in the Gulf country. 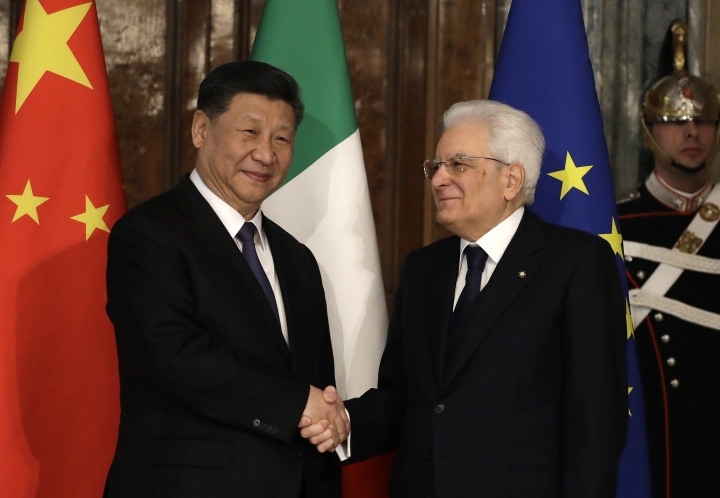 Xi was received with full red-carpet honors by Italian counterpart Sergio Mattarella on Friday, launching a two-day visit aimed at deepening ties through an ambitious infrastructure program that has raised suspicions among Italy's U.S. and European allies. Zhang Jindong, the owner of Suning and Inter Milan, accompanied Xi during his visit and took advantage of the opportunity to meet with Inter's Italian managers while in Rome. On Thursday, Inter announced a preseason tour of Asia, which could include up to two matches in China, plus one in Singapore.